Q. May I use feedback manikins or devices that let students know if their compression rate and depth is appropriate in EFR® courses? A. Absolutely. At least one resuscitation council, the American Heart Association, recommends the use of quality CPR feedback devices to learn adult CPR based on research. Though CPR skill repetition is essential, there is speculation that the use of feedback devices may reduce mastery time as participants self-correct in response to the device’s real-time feedback. ILCOR Guidelines in recent years have re-emphasized compression rate, depth and recoil, which make these devices an interesting teaching aid for skill mastery evaluation. The important aspect of using manikins that provide immediate results on compression rate, depth and recoil in EFR courses is to do so in a reassuring way, so the competent-versus-perfect philosophy outlined in the EFR Instructor course is not compromised. Keep in mind that CPR students often feel intimidated by the practical skills and can feel performance anxiety, particularly when they’re not able to achieve great feedback results right away. Unless a level of comfort and support is achieved by the instructor in the CPR classroom, the participant’s ability to learn and retain skills and be willing to offer them in an emergency can be severely reduced. However, used properly, compression feedback devices are a teaching tool that can effectively help EFR students bring their practical CPR skills in line with current compression rate, depth and recoil guidelines. A variety of feedback devices are available, some built into the manikin, and others can be added to and used with existing manikins. Emergency First Response courses keep pace with current research and treatment recommendations in emergency care. The most recent news indicates that no changes to CPR procedures are necessary in EFR courses. After re-evaluation of science and research, the International Liaison Committee on Resuscitation (ILCOR) most recent Consensus on Science and Treatment Recommendations do not include any changes to bystander CPR. We continue to recommend that bystanders perform chest compressions for all patients in cardiac arrest. We suggest that bystanders who are trained, able, and willing to give rescue breaths and chest compressions do so for all adult patients in cardiac arrest. We suggest a compression/ventilation (CV) ratio of 30:2 compared with any other CV ratio in patients with cardiac arrest. We suggest that bystanders provide CPR with ventilation for infants and children less than 18 years of age with cardiac arrest. We continue to recommend that if bystanders cannot provide rescue breaths as part of CPR for infants and children under 18 years of age with cardiac arrest, they should at least provide chest compressions. We wish you the very best with your EFR business. PADI Asia Pacific is delighted to announce the new EFR Instructor Trainers from 2018 and early 2019. Multiple programs have been conducted around the Asia Pacific region. Completing the course has enabled these new EFR Instructor Trainers to teach the wide variety of EFR programs. Not only at the Instructor level but also to help build up their own EFR instructional staff. This highly prized qualification allows these professionals to further expand their EFR businesses beyond diving markets. We wish everyone the very best of success for the future. Are you interested in growing your business? See all the upcoming EFR Instructor Trainer Courses. Did you know as Emergency First Response Instructor Trainers you are allowed to use and reproduce the latest logos and images to promote your business? The EFR logo is available to current and renewed EFR Instructors and registered EFR Centers offering EFR programs. The word EFR and the EFR logo, which consists of a heart with a pulse line inside a box, with the words Emergency First Response, can be used on your promotional materials such as specifically printed brochures, or any interactive digital or broadcast media including web sites. The EFR logo cannot be placed on goods that you intend to sell (such as mugs or T-shirts). If you want to use the logo on staff shirts for example, you will need to get separate written authorization. Websites and promotional material should clearly identify the EFR instructor who will be conducting any training. You are not able to use EFR name or logo in internet domain names or email addresses. It cannot be combined with other marks, symbols, language or be altered in any way. You need to follow the exact format, character, general appearance, type style, background and proportions of the logo/mark. Here you will find the current Trademark Usage Guidelines and specific advice on how to use and reproduce the latest logos and images appropriately, to promote your business successfully. By using the logo in this way you will ensure that you receive maximum exposure and at the same time remain within the license agreement regarding logo and trademark use. 1) What made you enrol? 2) What made you choose that particular course? 3) Did you take other courses or go back for a refresher course from the same instructor or facility? Chances are your answers are all very diﬀerent, which makes a couple of important points. First, people have a wide variety of reasons for wanting to learn CPR and first aid procedures. This could range from wanting to know how to care for a family member through to being required to take a course by an employer. The second point is that in many regions there are a lot of training choices. Most people don’t have to look far to find a course that fits their schedule and budget. When training is easy to find, you need to figure out how to make your courses stand out. You need a marketing plan to keep your EFR courses full. Decide who your potential participants are and carefully craft your marketing message to appeal to each group. You also need to arrange your courses in a way that is convenient and attractive to potential participants. Potential participants: Everyone is eligible to complete first aid training, so the potential market is huge. Start by researching who may need CPR and first aid training in your local area to help you focus on specific groups. This training is often required for certain roles, such as child care, life guarding or commercial driving licenses. Also look towards anyone involved in organisations such as schools, universities or youth groups. Developing a contact: You can reach out to these groups through various mechanisms – direct email, ads, social media, events, mail or phone calls can all be effective. Try to identify the decision maker as a point of contact and speak to them personally. For example in a business this may be the human resources manager, whilst in a sporting club it might be the chairperson or coach. Highlight the benefits! Make sure you emphasise the huge advantages offered by your EFR courses. For example, the fact that you can offer dedicated paediatric first aid courses, AED training or separate secondary care. EFR course are based on internationally recognised medical guidelines and that you can offer flexible learning options. Be ready to follow up your contacts with additional communications and information. For more details on how to market your EFR courses, don’t forget to refer to your EFR Instructor Manual (page A20) or contact your EFR Instructor Trainer for guidance. Does your local marketplace have a need for any first aid training that is not immediately available through the current suite of EFR courses? You may think the EFR programs cannot cover these gaps in the market but by using an alternate route, these gaps may well be filled to grow your first aid business. You might like to author an EFR Distinctive Specialty to expand your business. Once you have an idea for your EFR Distinctive Speciality, for instance Primary and Secondary Care at Festivals, Marathons, etc., simply download the EFR Distinctive Specialty Template and use it to write your own course outline. This template makes writing your own course a very simple process for you. If any particular local government requirements apply in your country, make sure you accommodate for these in your instructor-authored course outline. Once you have written your EFR Distinctive Speciality, complete the EFR Distinctive Specialty Instructor Application Form and email both documents to us for review. Your Regional Training Consultant will work with you to answer any questions you have and provide feedback, should your outline need revision. Once you are both satisfied with the Distinctive Specialty, the course outline and the application will be submitted to a review panel for consideration. It’s that simple. EFR Distinctive Specialities are an excellent opportunity to add something unique, that prospective clients need or want, to your business model and will support your business plans for your EFR business growth. Most workplaces in Australia look for Nationally Recognised Training in CPR and first aid, which must be conducted through a Registered Training Organisation (RTO). 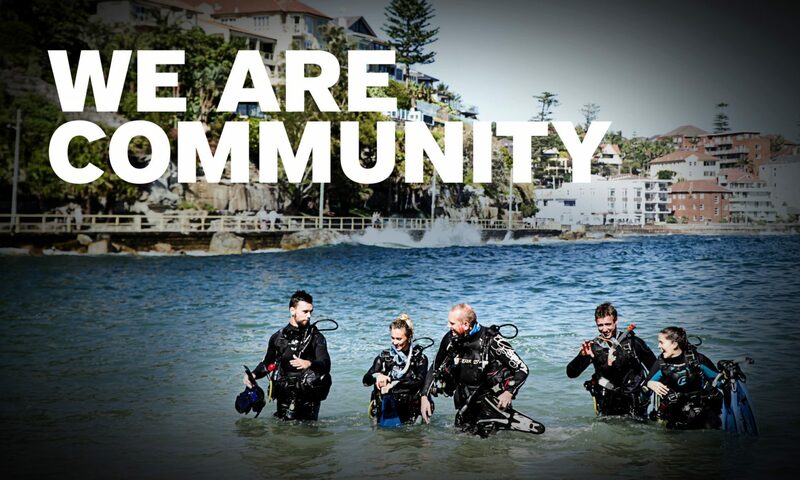 EFR Instructors in Australia with the additional credential called Cert IV TAE, can become a PADI RTO Trainer and deliver recognised first aid courses. In New Zealand, EFR courses are recognised by the New Zealand Qualifications Authority (NZQA) when conducted at a Private Training Establishment (PTE) and competency was assessed as assessed as meeting OSH/NZQA unit standard 6400, 6401, 6402 (or 6400, 26551, 26522 or equivalent / most recent unit standards). If you have any questions please contact us info@emergencyfirstresponse.com.au.